University of Missouri (MU) biochemistry professor and research scientist Steven Van Doren has led a team that found the enzyme responsible for the spread of cancer. “The dangerous thing about tumor cells is that they spread in the body,” Van Doren said in an interview about the discovery Friday. The university publicized the discovery this week after the findings were published in the journal Structure. Doren and his team of MU researchers worked in Schweitzer Hall on MU’s campus. They found that the enzyme responsible lays flat on the cell and spreads cancer, whereas past research indicated the enzyme stood up like a double-decker lollipop. “We have learned how this enzyme that’s acting like a machete sits on the cell surface,” Van Doren said. This new finding can help fight the spread of cancer at the source. “This is one piece of a puzzle, of a very complicated puzzle, on how the tumor cells move and spread,” Van Doren said. Knowing where the enzyme is and how it moves can help pharmaceutical scientists create a drug or antibody that would fight the enzyme at its source and stop cancer from spreading. Five of the eight researchers in this project were from MU, two were from Port St. Lucie, Florida, and one was from Boston. The study was paid for by public funding through the National Institutes of Health. “Your tax dollars going to the National Institutes of Health get channeled back to researchers who are judged competitive and those tax dollars funded this project,” Van Doren said. He believes this research helps push MU forward. 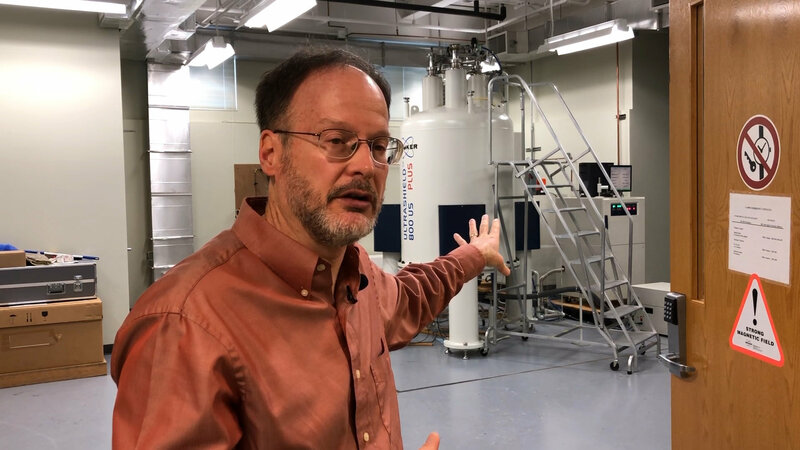 “It may help us in attracting a new grant from the National Institutes of Health, which could be very large and help employ new researchers in the future and also add to the prestige of the University of Missouri,” Van Doren said. University of Missouri officials emphasized the importance of research as they seek to strengthen the university’s standing among its peer institutions. Part of that research is “translational,” which means it can be translated into practical real-world applications. “Anytime we have these significant breakthroughs, it provides more momentum, it also demonstrates to the funding agencies that we can get the job done,” MU Spokesperson Christian Basi said. UM System President, Mun Choi, has implemented widespread changing across the system to shift resources toward recruiting top-level faculty and increasing research.